Let me explain. The footpath joining Saltmarsh Lane to the Billy Trail will be a key part of the council’s new East-West cycle path from St Mary’s Church across to the Billy Trail. 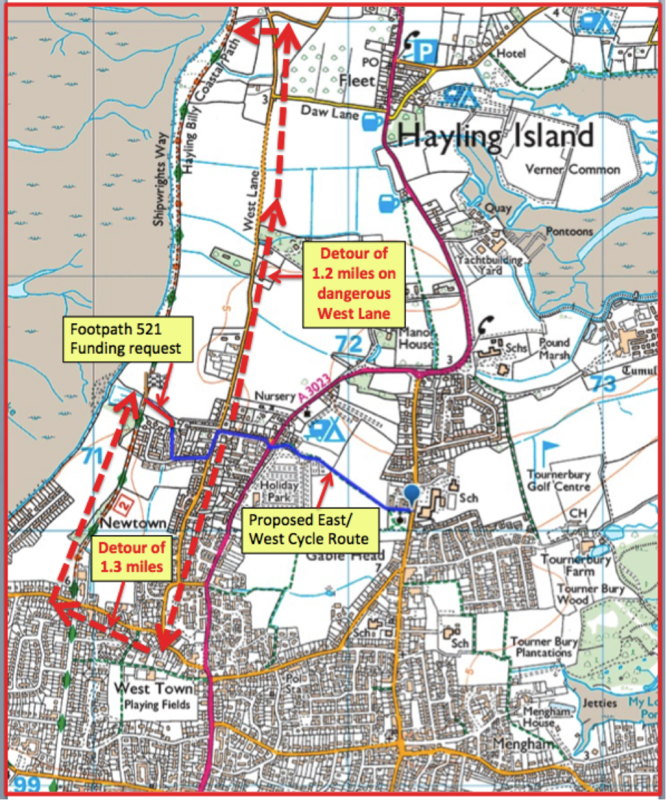 Cycle Hayling won council funding last year to convert it to shared cycling and walking. But lots of people tell us they can’t use the paths we already have, even walking, because they’re too rough. Try pushing a pushchair, wheelchair or a child’s scooter down the old the old cinder track to Mill Rythe School, or down the Billy Trail. Especially in wet weather. It’ll certainly be good exercise – if you don’t get stuck. Hardened cyclists and mountain bikes can manage, but not road bikes or less confident cyclists. Nor families with a baby in a pushchair, or a child just learning to ride, or someone in a wheelchair or disabled buggy, or just someone who isn’t confident riding a bike on stony paths. On mainland Havant, just about every cycle path is tarmac (strictly, they’re one of many types of asphalt or bitmac, but tarmac is the common term). Cycle Hayling thinks that Hayling deserves tarmac too. BUT …. Hampshire County Council’s Countryside Service won’t let us. They say they can’t maintain tarmac, which is perverse, because they don’t maintain surfaces anyway. Not that it needs much maintenance – properly laid tarmac lasts 20 to 30 years, making it cheaper, long term. 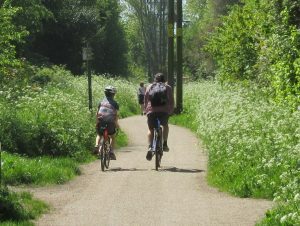 Havant and Hampshire council both have policies to promote active travel, cycling and walking, exercise and access to the countryside. So forcing Hayling (not Havant or Winchester, notice) to accept rough, dirty paths that people can’t or won’t use is against their own policies. And against the Equality Law and the Public Sector Equality Duty, by discriminating against half the population! 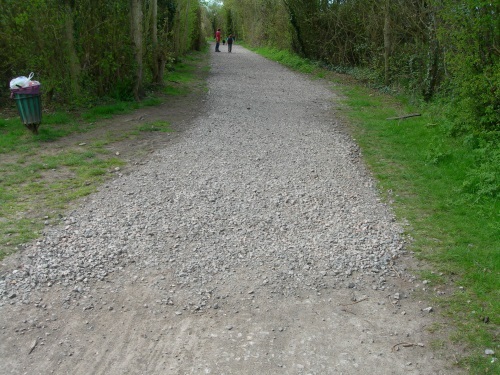 Hampshire’s own rural path standards recommend tarmac. On the Billy Trail between the bridge and the Esso garage, they tried the orange self-binding gravel. But they only recommend that as a last resort, where tarmac is unacceptable, and where there are no pushchairs or disabled users, or slopes, exposed situations, and where getting dirty is not a problem. We had high hopes of it when it was first laid, and it is a bit better than scalpings. But we are shocked to find out that it costs almost as much as tarmac, and needs replacing every 5 or 10 years at best. And it’s still not good enough for many users. What an appalling waste of public money! Nobody wants our rural cycle paths to look like roads, but they don’t need to. We ride countryside tarmac paths that are weathered not black, wind through trees, and look perfectly natural. Hampshire’s discriminatory and illegal anti-tarmac policy needs changing. Hayling should be allowed smooth all-weather paths, just like the mainland. And Lance Quantrill, our Hampshire County Councillor, has agreed to help our ‘Smooth The Path’ campaign by ‘Smoothing the Path’ inside Hampshire County Council, and get their departments to talk to each other. If you want to ‘Smooth the Path’, please sign up on our NEW! Cycle Hayling website. 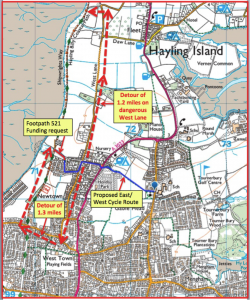 The Hayling Infrastructure committee was Havant Council’s worthy attempt to get community involvement to solve Hayling’s infrastructure and traffic issues. I regret to tell you that all the community representatives, including Cycle Hayling, walked out of the last meeting, in protest at a council whitewash and broken promises. We remain very skeptical that Hayling’s substantial traffic and infrastructure problems will be recognized in the Local Plan 2036. However, we are hopeful that it will ‘smooth the path’ with plans for better cycling on the island. Including for Haylink, Cycle Hayling’s North-South Cycle Link from the Lidl roundabout to the bridge, an everyday cycle path smooth enough for commuters, our kids and grandparents, and everyone in between. Haylink also needs Hampshire to ‘Smooth the Path’ and relent on their ‘no tarmac’ rule. 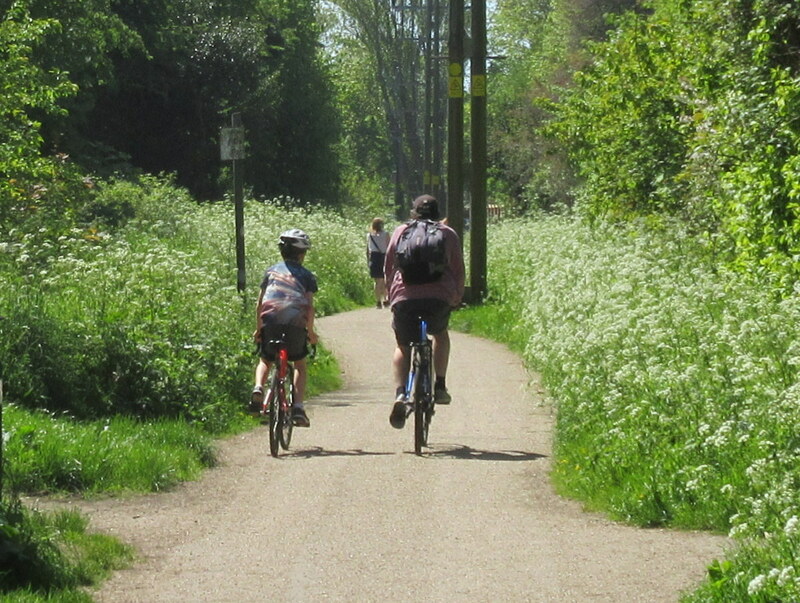 Local Plan consultation is likely to be short, so please send your comments to the council, especially on cycling, how it will deliver Haylink, and on ‘Smoothing the Path’. STOP PRESS. Havant has just announced that it will start developing a brand new Cycling and Walking Infrastructure Plan in spring. See our website for more details! 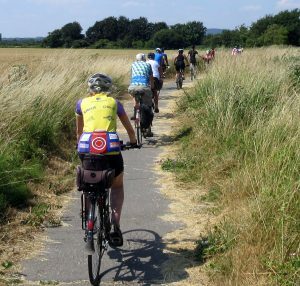 Cycle Hayling is a volunteer community group – if you want better cycling on Hayling, please sign up now, it’s free, at the NEW! CycleHayling.org.uk , and for rides: PortsmouthCTC.org.uk. Previous PostPrevious Havant’s new Cycling and Walking Plan!